present a modern song in the style of Six O’Clock Rock. Students are required to view and discuss media from a variety of past and present social and cultural perspectives. Students should also demonstrate an understanding of how the media represents values in the social, cultural and historical contexts in which they are produced. the main difference between this program and modern rock music programs. 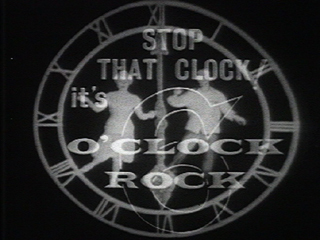 View one of the latest TV rock music programs, then in groups choose a popular song and create a presentation of it in the style of Six O’Clock Rock. This could be dramatic or produced on video.